With slight modifications, a Weber kettle-style charcoal grill can double as a meat and fish smoker. Smoking fish preserves it and gives it a distinct flavor. 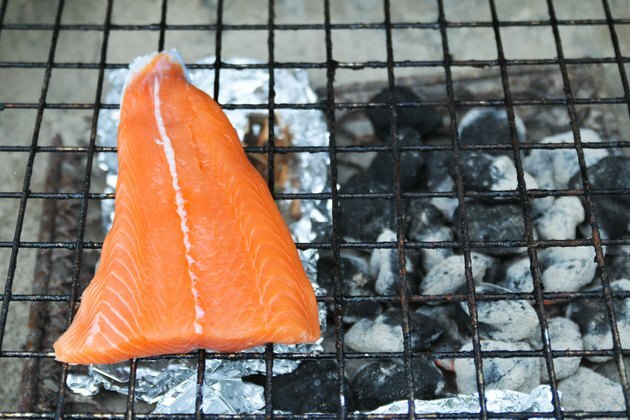 Proper preparation of both the fish and grill helps ensure safely smoked fish for appetizers, brunch or dinner. Experiment with a variety of seasonings, types of fish and smoking woods to vary the flavor and come up with a smoked fish creation all your own. 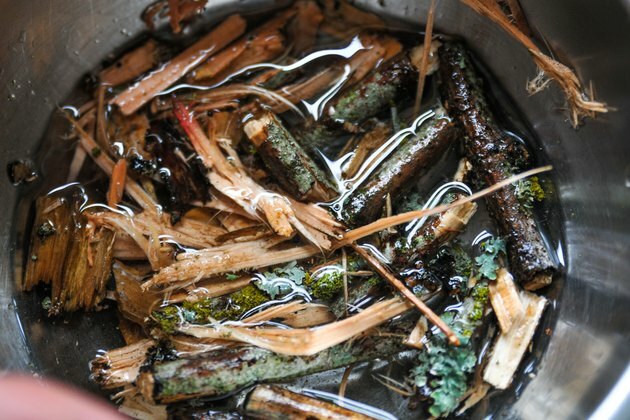 Soak wood chips in water for at least 1 hour. Use wood chips from hardwood trees that add flavor to your fish, such as alder, oak or fruit trees. Avoid conifer wood. 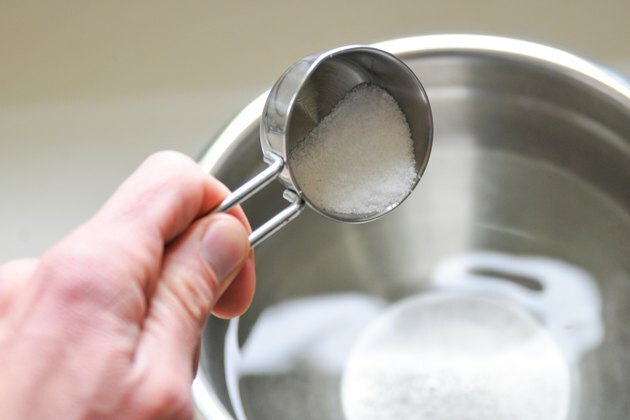 Mix together a solution of seven parts water to one part salt. Cover the fish with the brine in a single layer. 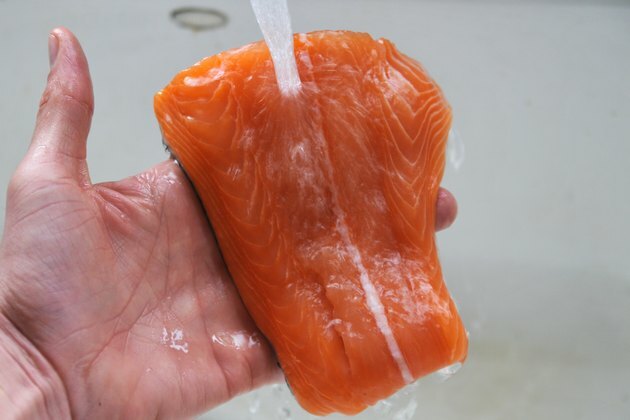 Depending on the type of fish used, soak it for from 1/2 hour up to 2 hours. 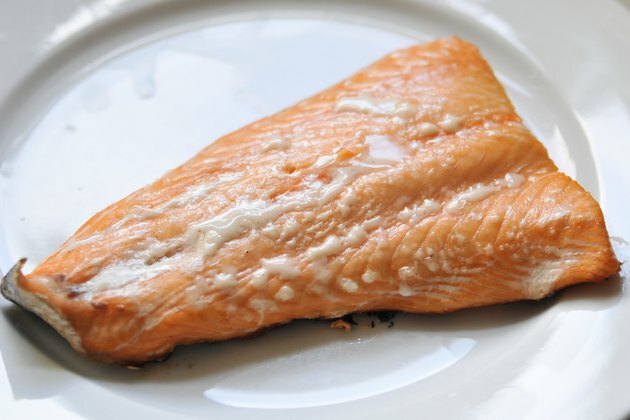 Increase brining time for fish with skin or a high fat content, such as salmon. Use a lower brining time for lower-fat fish with white flesh, such as tilapia. Salt flavors the fish and helps preserve it more than the smoking alone. Fill the water pan on the smoker attachment or a foil pan with water. 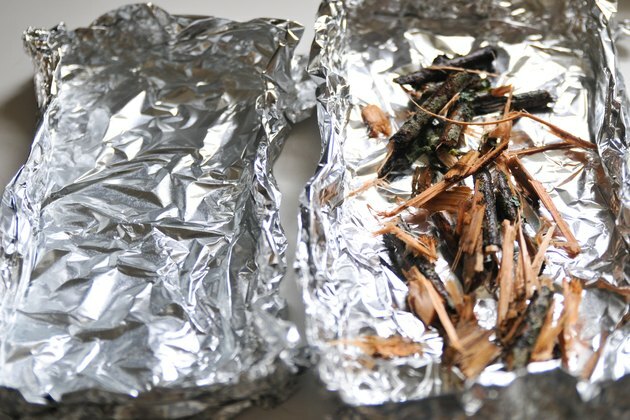 Fill the other side of the smoker attachment, or another foil pan, with the water-soaked wood chips. Fill the bottom part of the grill with charcoal and light it to preheat the grill. Do not use lighter fluid when smoking fish; it will impart an unpleasant taste to the fish. Place the smoker attachment or the two foil pans on top of the lit charcoal. The grill is ready when it reaches a temperature of between 200 and 225 degrees Fahrenheit. Rinse the brine from the fish. Air-dry it on a grate with the skin side down in a cool dry room for about 1 hour while the grill preheats. Air-drying the fish allows it to form a pellicle, which looks like a shiny and slightly sticky skim on the surface of the fish. The pellicle distributes smoke evenly throughout the fish and keeps the surface of the fish from spoiling while the smoke permeates the rest of the flesh. 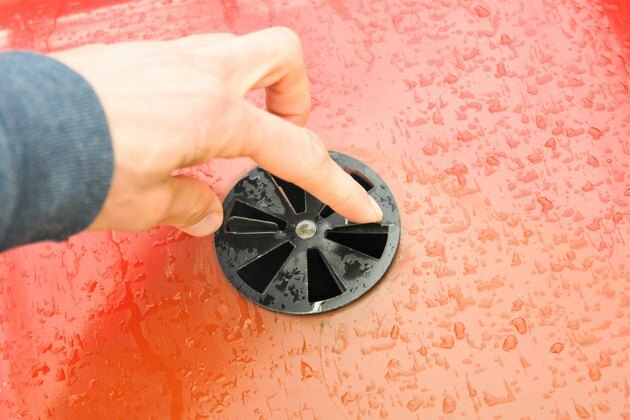 Open all of the vents on the Weber grill until they are approximately half open for air to flow through for smoking. Keep the grill closed during heating and cooking as much as possible, since opening the lid allows heat to escape. Using tongs and wearing an oven mitt, add additional charcoal briquettes and additional water or soaked wood chips as needed each time the lid is open. 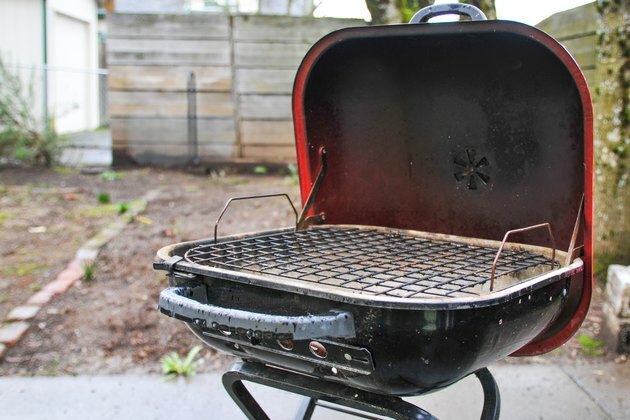 Add charcoal briquettes every hour during smoking to maintain the temperature of the grill. Place the fish on an oiled cooking grate over the wood chips. Arrange the charcoal to sit in the kettle on the opposite side of the fish. Keep the fish closest to the hinge on the lid, if applicable, and the charcoal toward the outside so that you can quickly and easily add briquettes while minimally reducing the temperature of the fish. Smoke the fish for approximately 2 hours per pound plus 15 minutes for every opening of the lid. Check the fish with a meat thermometer. It is fully smoked when it reaches an internal temperature of 150 F and holds that temperature for at least 30 minutes. Do not rely on appearance to check for doneness; smoked food does not necessarily look like traditionally baked or grilled food. Serve immediately. Store leftover smoked fish in an airtight container for up to two weeks in the refrigerator or in the freezer for up to six months. Write down what combination of fish, seasonings, wood and time used each time you smoke the fish, along with the results. Keeping written records will help you improve your product each time. Taste the smoked fish before adding seasonings or sauce at the table. Do not attempt to cold-smoke fish (at temperatures of 80 to 90 degrees) in a Weber grill. 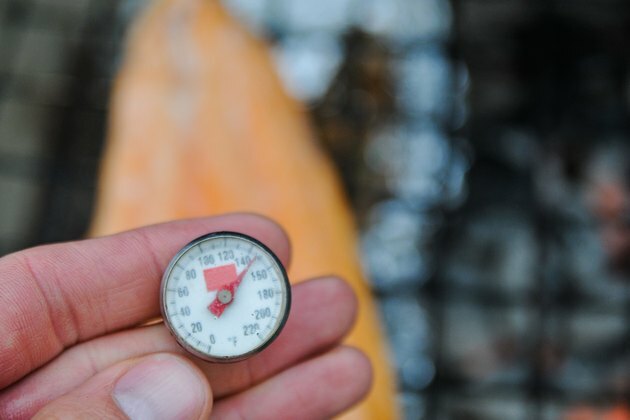 Because cold-smoked fish requires a finish at a higher temperature to raise the fish's internal temperature to 150 F and there is no way to quickly add adequate heat to a Weber grill to raise the temperature that much, the lukewarm temperature could encourage the growth of harmful microorganisms in the fish.